Own a remarkable home with architectural pedigree in a prestigious location with stunning views and exceptional design. This timeless contemporary home has extraordinary attention to detail throughout that exceeds the expectations of modern luxury. Designed by PIQUE Collaborative with clean lines and warm materials, using only the finest of materials and finishes, every element of this residence has been created with optimum livability. 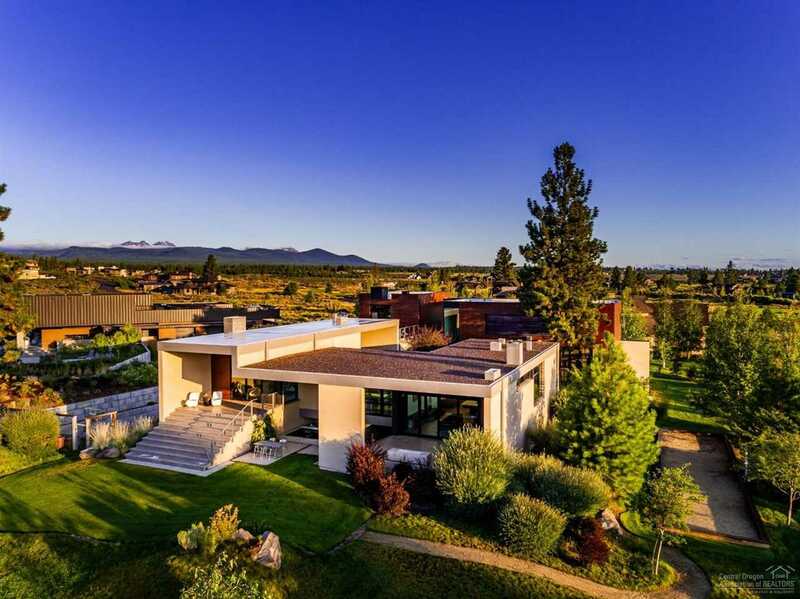 Located on a large, private 1 acre lot on Tetherow's 17th hole. Interior Features: Security System, Ceiling Fan, Smart Alarm System, Central Vacuum, Smart Lighting, Walk in Closet, Low/No VOC Paint, Washer/Dryer, Master Ground Level, WiFi CO Monitor, WiFi Smoke Det. I was searching for a Property and found this listing (MLS #201804771). I would like to schedule a showing for 61462 Weinhard Court Bend, OR 97702. Thank you! I was searching for a Property and found this listing (MLS #201804771). Please send me more information regarding 61462 Weinhard Court Bend, OR 97702. Thank you!